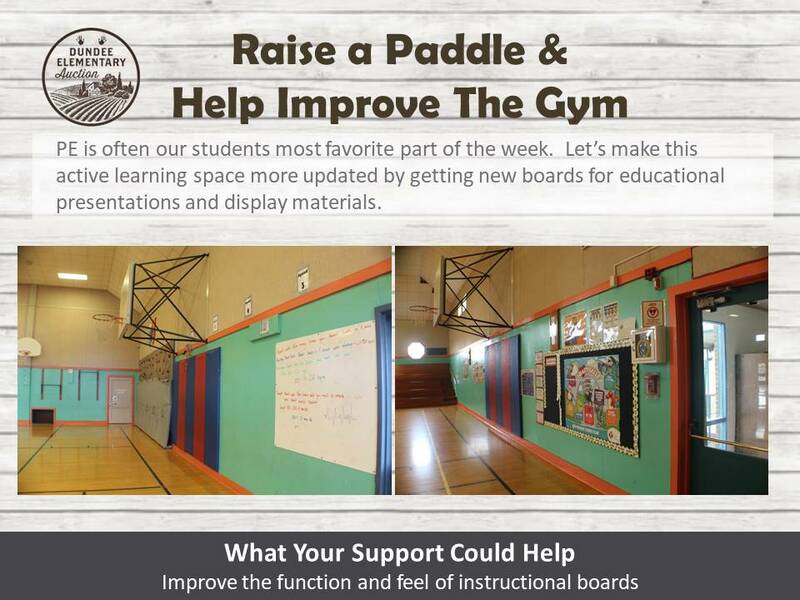 If you participated in this year’s Auction, please Take This Survey to help us plan for the future. 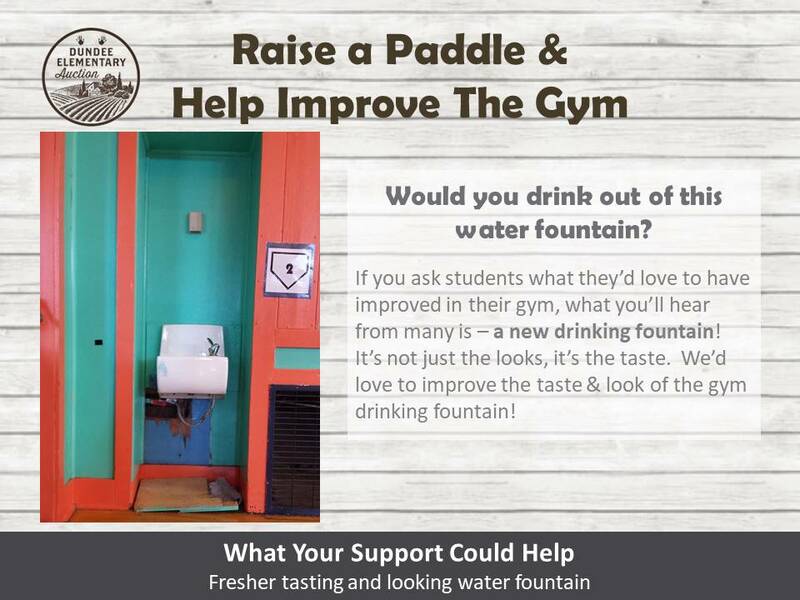 As part of our fundraising evening, we hold a special paddle raise and all donations are given to a specific cause in our school or community. 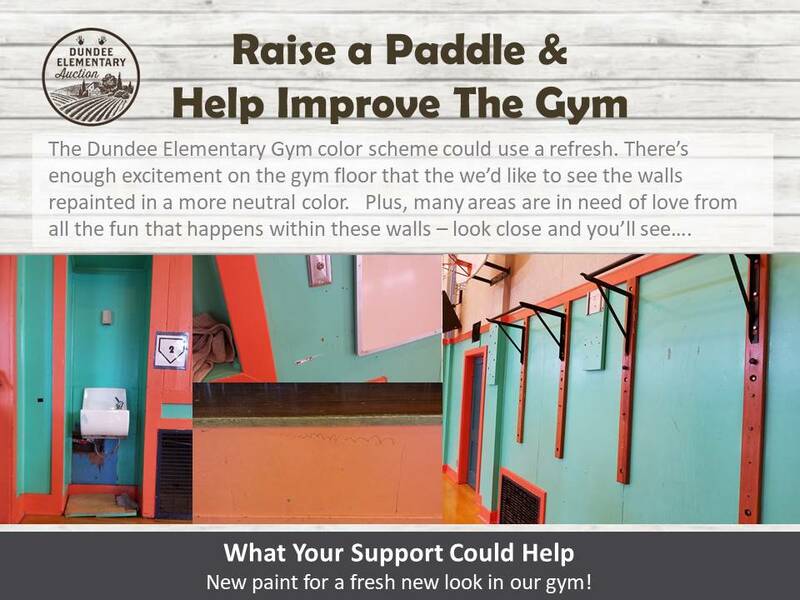 This year by popular vote within our community, the paddle raise was decided to support improvements to the Dundee Elementary Gym! 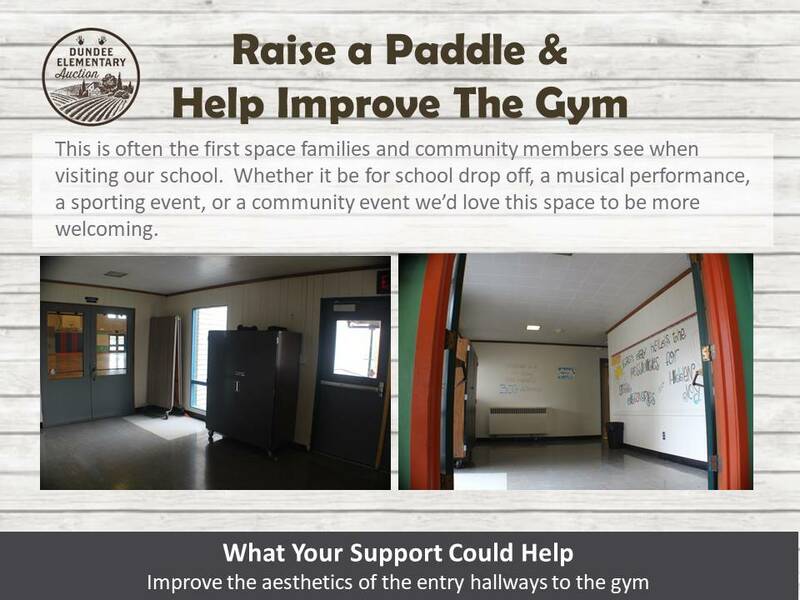 We got off to a great start for this improvement project the night of the Dundee Elementary Auction with $6,550 raised specifically during the Paddle Raise portion of the event. If you weren’t able to contribute the night of the event, we’d love your support now to help us get the rest of the way to our goal! 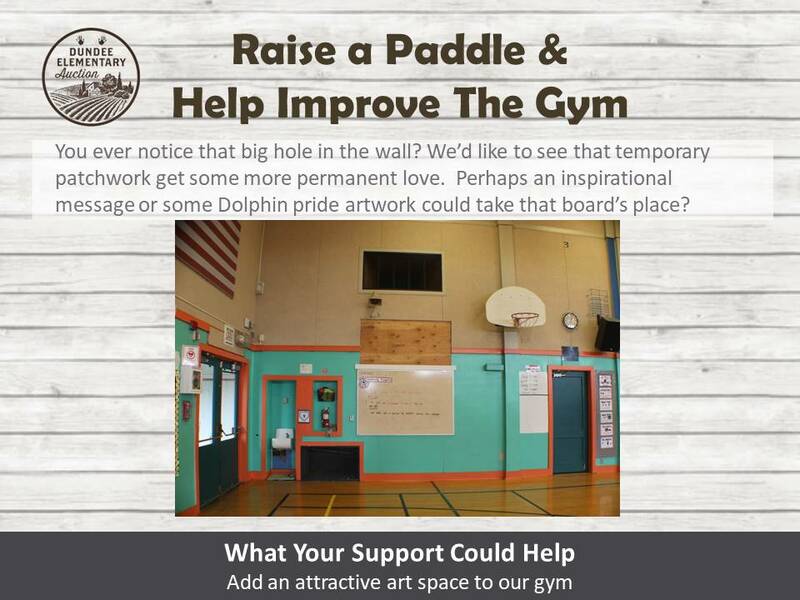 Every donation whether $25, $250, or $2,500 will help us get closer to our goal and allow us to show our gym some Dundee Auction love. Thank you to all who joined us for an evening of FUNdraising with great food, beverages, live music, live painting and amazing auction items. This annual event is our little community’s biggest fundraiser of the year. It is a success becase of our generous sponsors, donors, volunteers, and attendees at the event. Thank you for your support! 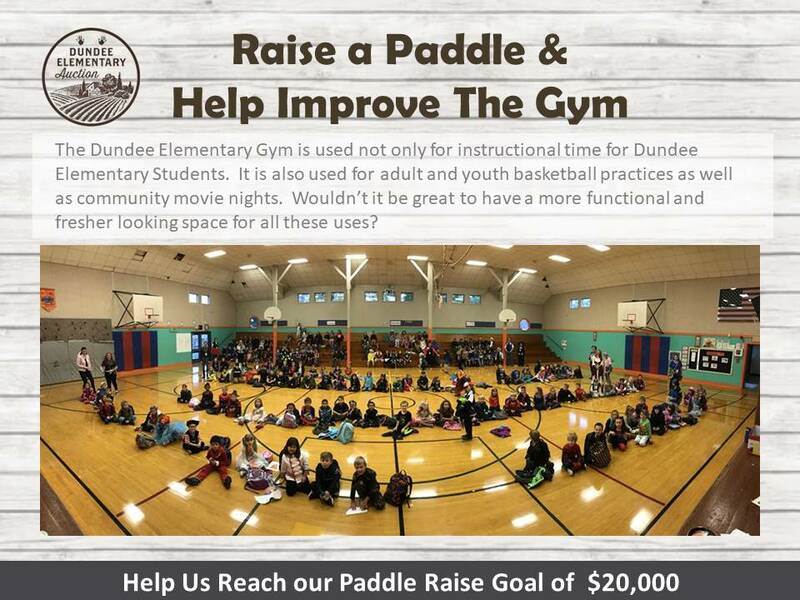 Be sure to “like” the Dundee Elementary Auction page on Facebook so you can stay connected with the event online. 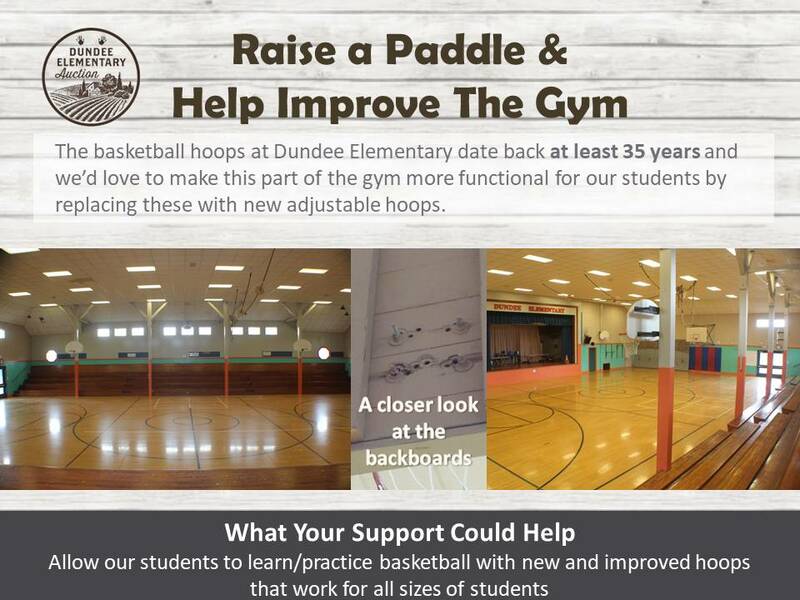 All proceeds go directly to Dundee Elementary School Programs.